This fun-loving and geometrical label design reveals a fun-loving Malbec from Tucumen Wines. A third-generation sugar cane farmer from Tucumán, Sebastián Budeguer turned his hand to winemaking in Mendoza. While the Agrelo-based project has been going since 2008, this 2012 Malbec Reserve is the first to be made at its own winery, which is due to open for tourism soon. Vibrant violet hues lead to a vibrant nose, bursting with blueberry and cassis, violets and chocolate. Fruit first, 12 months in French and American oak is well integrated. Drinking smoothly now. I also gave the Cabernet Sauvignon a whirl, but this Malbec was way more alluring. 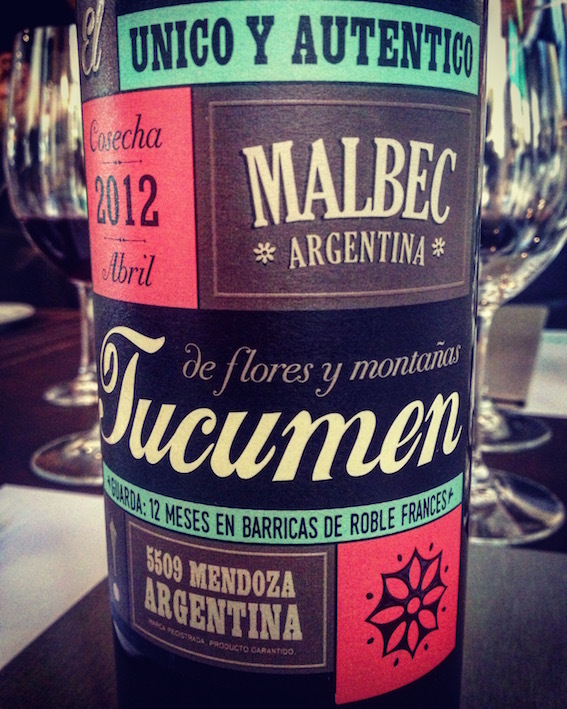 Tucumen Malbec Reserva 2012, Tucumen Wines. 140 pesos.